Can Event Reporter work with custom evt-files? Does EventReporter read the custom evt file? We have an application where we log our events to custom evt files (e.g. QueryAnalyzer.evt). I would like to test EventReporter on this. Yes, EventReporter can work with custom evt files. 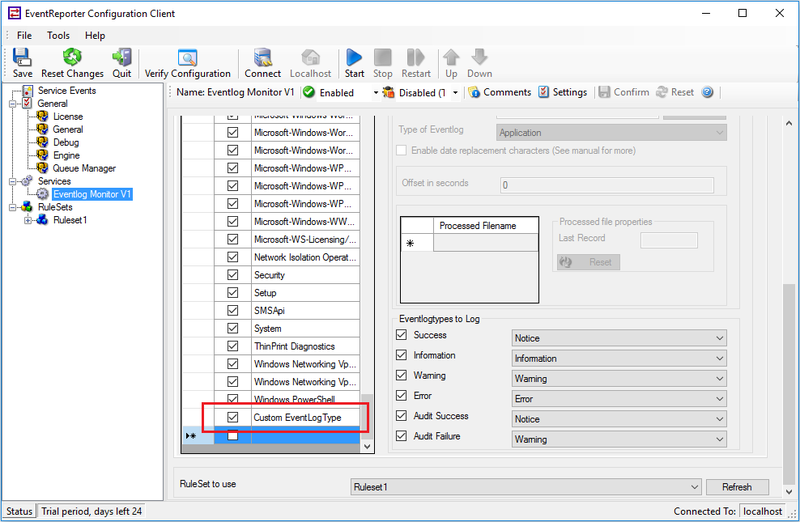 To do so, please create an EventLog Monitor Service,insert and then specify the name of the new eventlog category, after this press save. Do you want to control your Windows Server/Workstation events and get alerted on errors? Take a look at the EventReporter product website! 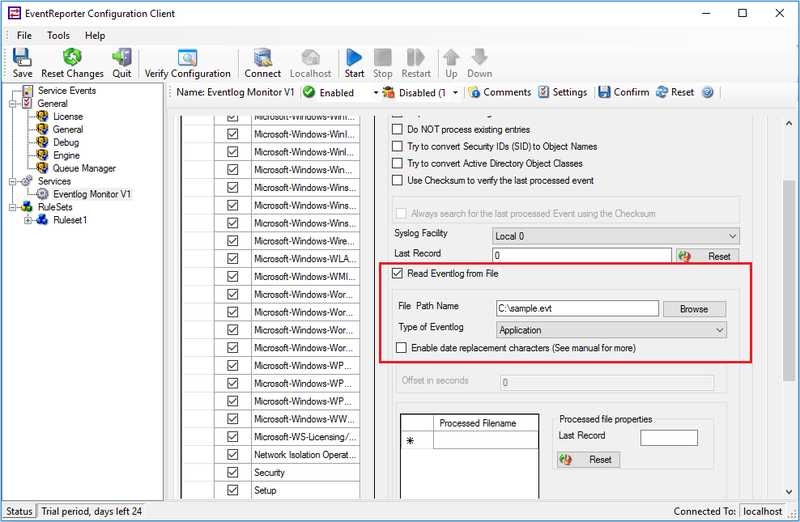 Analysis, monitoring, near-real-time alerting of the Windows event log can be done with EventReporter. Take a Quick Tour to EventReporter to know more about its exciting features or directly download the free and full-featured 30 day trial version. « Can EventReporter work with custom event logs?